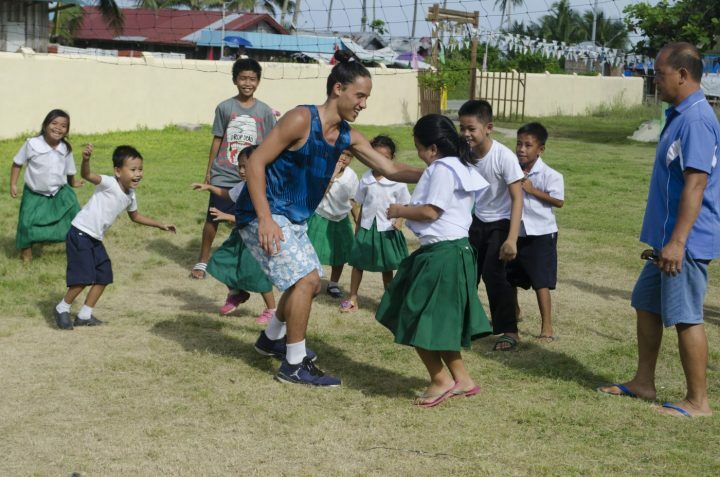 In June/July Alej Lacanaria and his family travelled to his fathers small remote village Jagnaya in The Philippines. 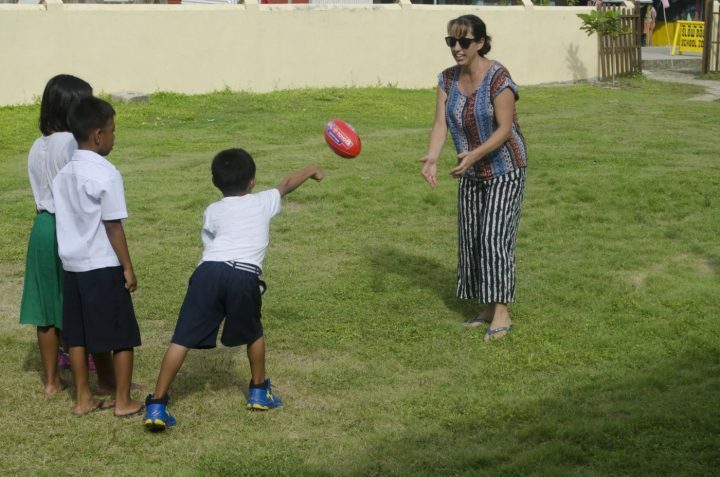 During their stay, Alej conducted 4 x1.5 hour coaching sessions with the aim of teaching children some Aussie rules football. Some of these games and concepts, such as working in small groups, were very new to them and took some time for them to understand but then they were very excited to play and play. 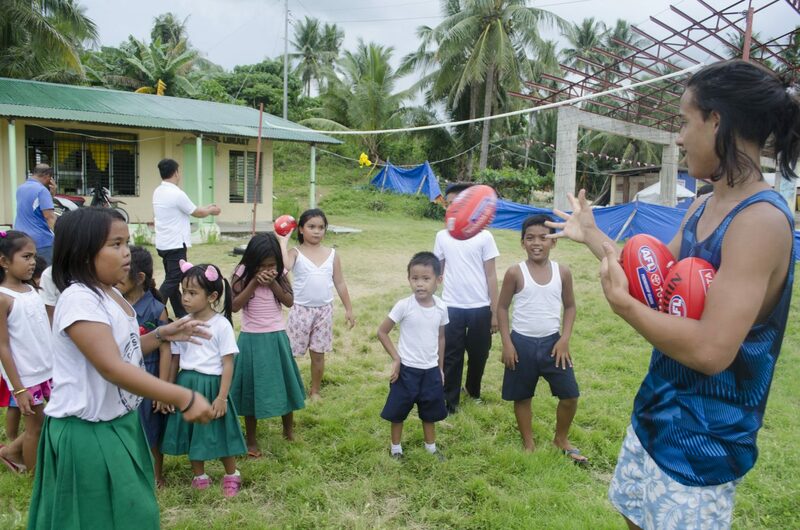 Alej did a fantastic job at teaching these skills and games, especially when the children spoke very little english. 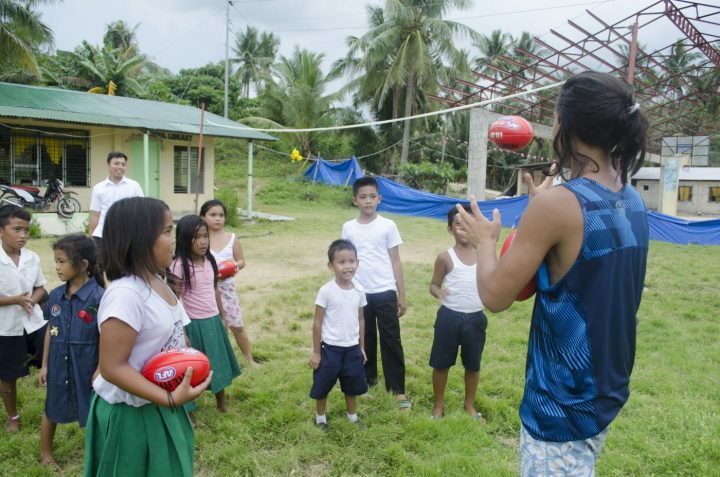 He was able to use his father as a translator and also help the children to learn some more english words and his family to help demonstrate kicking the footy. Some of the students were as young as kinder ranging up to grade 6. 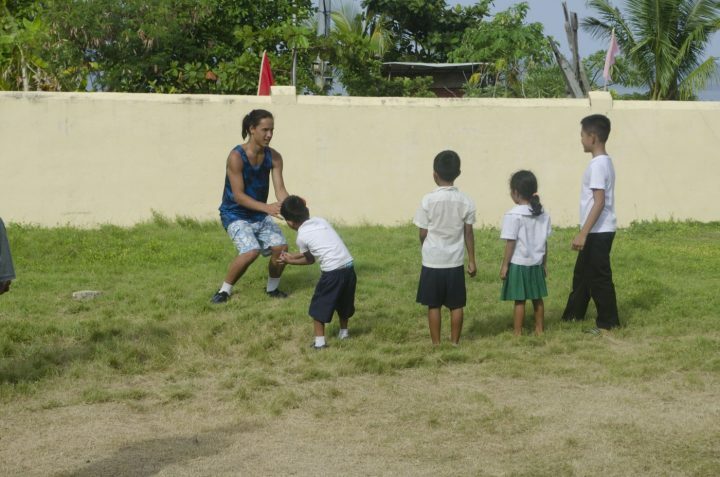 The children loved the football sessions and asked Alej to please come back again. The principal of the school described Alej as a mentor and big brother to the students and commended his program, he said the children showed eagerness in every minute they played. 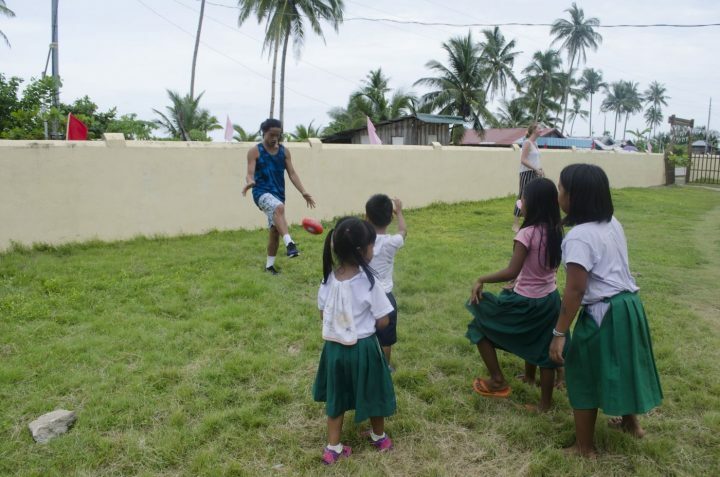 The teachers also really enjoyed learning football and said Alej taught with ease and confidence. This experience was not only memorable and enriching for the Jagnaya Elementary School but also for Alej and his family. Alej was also able to use this program to demonstrate his skills and knowledge of conducting sports sessions which is part of his VET Sport and Rec course and has learnt valuable skills and insights in sports coaching and teaching.